Pictured in Castlebar Tennis Club at the Mayo Veterans Cup with special guest Kevin O’Malley US Ambassador to Ireland who played for the Mayo team against visiting teams from Galway and Dublin. L-R; US Ambassador Kevin O’Malley , Irene O’Kane, Donie Coleman and Noreen McNamee, Chairperson. Photo © Ken Wright Photography 2015. 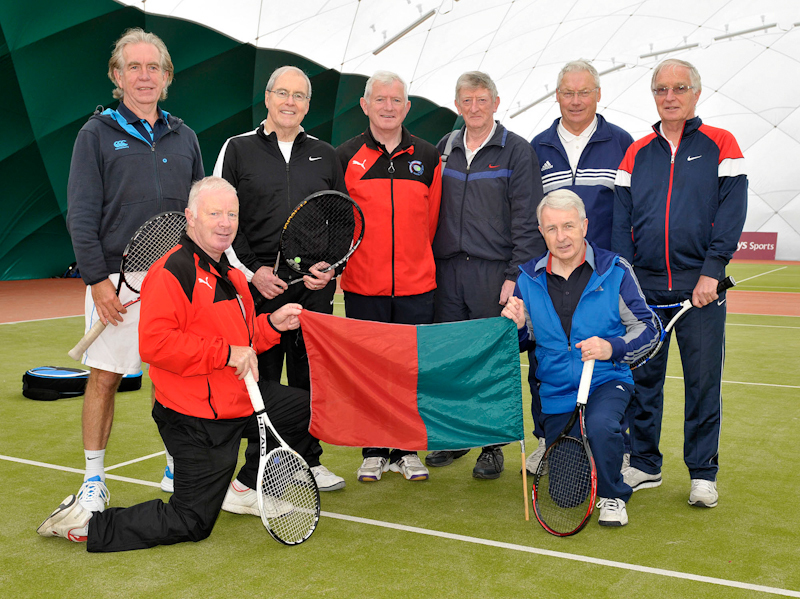 Castlebar Tennis Club were delighted to welcome two visiting teams to their club for the inaugural Mayo Veterans Cup on Saturday 17th October. Three teams competed in the event: Mayo, Galway and Dublin. 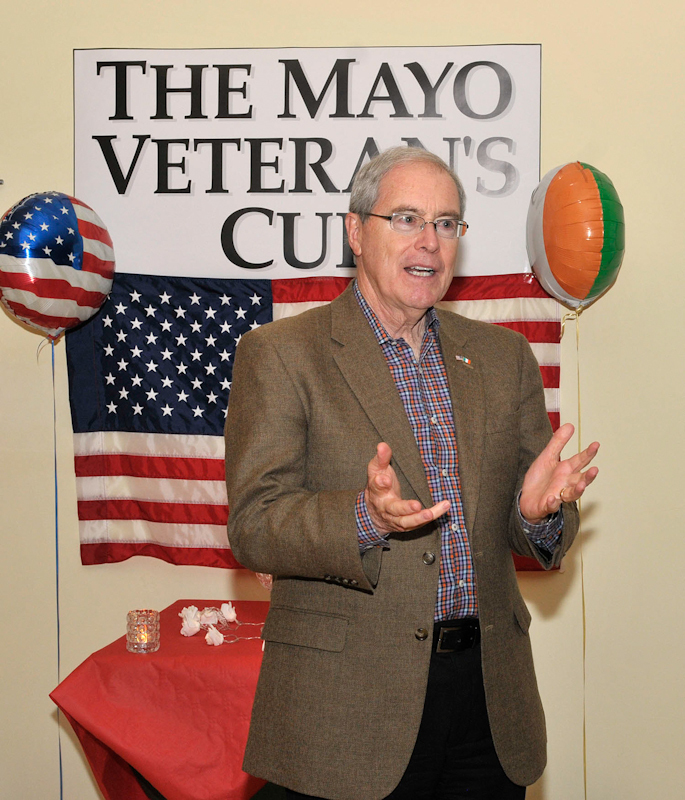 The Mayo team were honoured to have Mr. Kevin O'Malley, current US Ambassador to Ireland, as one of their team members. Mr. O'Malley is well-qualified to represent Mayo as his paternal grandparents immigrated to the USA from Westport, Co. Mayo. 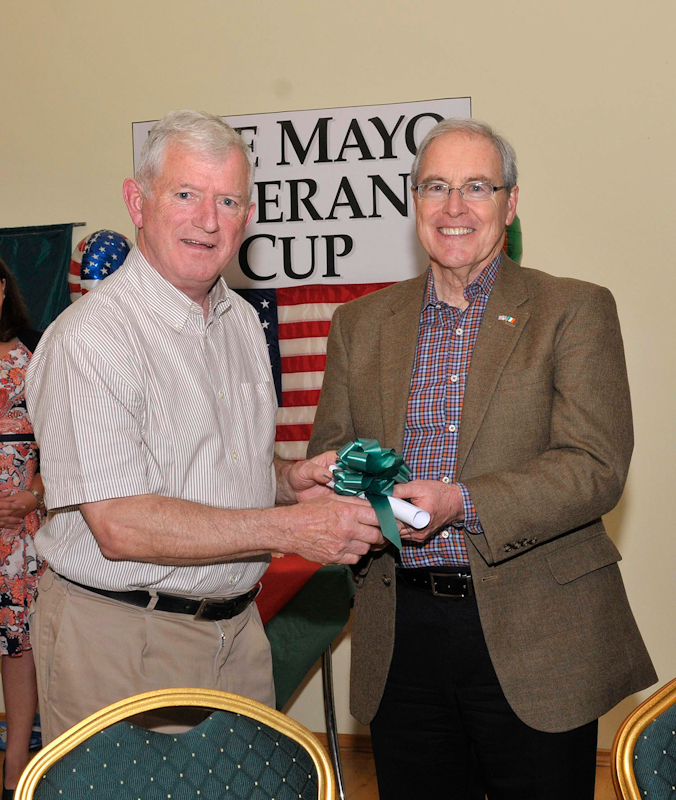 Pictured in Castlebar Tennis Club at the Mayo Veterans Cup with special guest Kevin O’Malley US Ambassador to Ireland who played for the Mayo team against visiting teams from Galway and Dublin. Members of the winning team Galway pictured with the US Ambassador Kevin O’Malley and Club officials, front L-r; Brendan McNally, Donal McGoldrick, US Ambassador Kevin O’Malley, Joe Higgins, team captain, Colm Grogan. Back l-r; Garrett Barry, Castlebar coach, Paddy King, Noreen McNamee, Chairperson, Stephen Long, Paul Gavin President and Brendan Murphy, men’s captain. Photo © Ken Wright Photography 2015. Mayo: Paul Gavin (Captain), Kevin O'Malley, Brian Fallon, Donie Coleman, Dave McHale, Tom Murphy, Hugh Hanly, James Ryan. Galway: Joe Higgins (Captain), Brendan McNally, Donal McGoldrick, Colm Grogan, Aidan Daly, Steve Long, David Boyd-Barrett, Pat King. Dublin: Colm McDonnell (Captain), Roddy Feely, Tony O'Donoghue, Joe Carroll, Mike Larkin, John Kelly, Michael Lenihan, Cathal O'Neill. 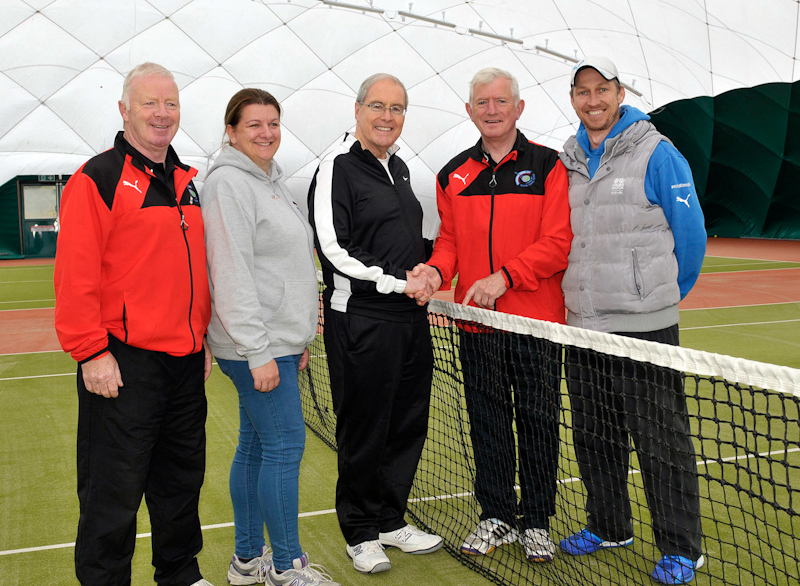 The event was held under the dome at Castlebar Tennis Club which covers four tennis courts. The competition, consisting of men's doubles matches, got underway at 12 noon and play continued until 6.30pm that evening. 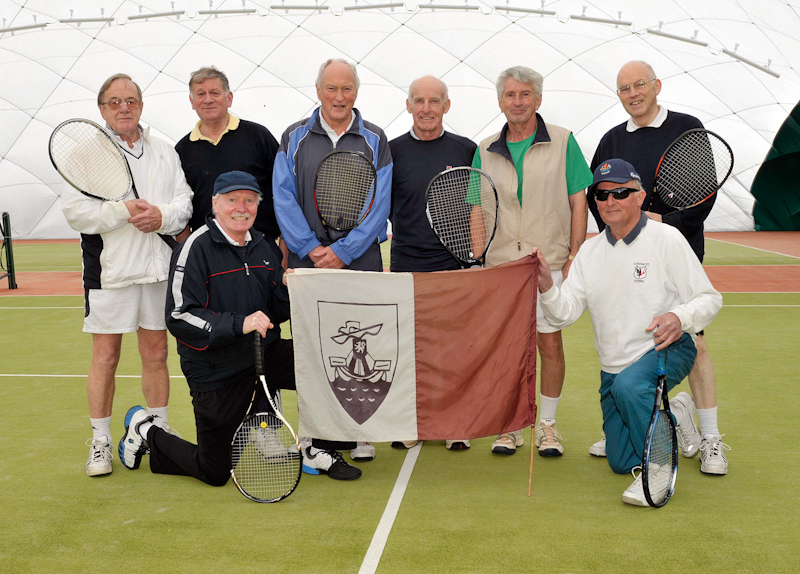 As this was a veteran's tournament, all of the players were aged over 60 years with the eldest player aged 85. The matches were all keenly contested and there was a great level of skill demonstrated throughout the afternoon. As play drew to a close, it was the Galway team who had the upper hand, winning 86 games while Mayo came second with 78 games and Dublin in third place with 72. Throughout the day, food and refreshments were provided to the players and spectators by Castlebar Tennis Club members who volunteered their time and culinary skill. The hospitality continued that evening, as players, spectators and members alike enjoyed a social evening in the club house after the tournament that went on long into the night. Paul Gavin, President of Castlebar Tennis Club and Captain of the Mayo Team, presented the Ambassador with lifetime membership of Castlebar Tennis Club and said that he hoped that he would get the opportunity welcome Mr. O'Malley back to the club for the competition next year. 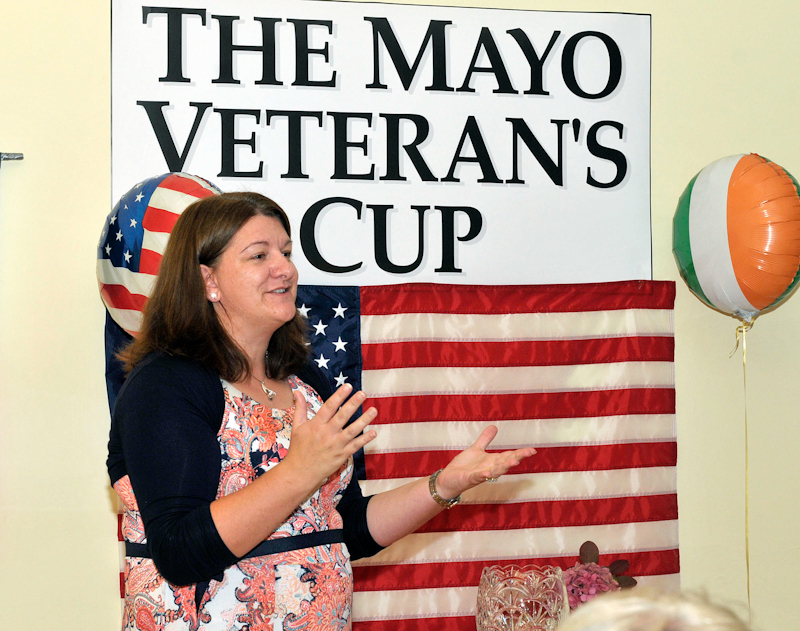 Pictured in Castlebar Tennis Club at the Mayo Veterans Cup competition , special guest Kevin O’Malley US Ambassador to Ireland, who played for the Mayo team against visiting teams from Galway and Dublin, thanking everyone for their warm welcome and hospitality at the event. Photo © Ken Wright Photography 2015. Pictured in Castlebar Tennis Club at the Mayo Veterans Cup with special guest Kevin O’Malley US Ambassador to Ireland who played for the Mayo team against visiting teams from Galway and Dublin. 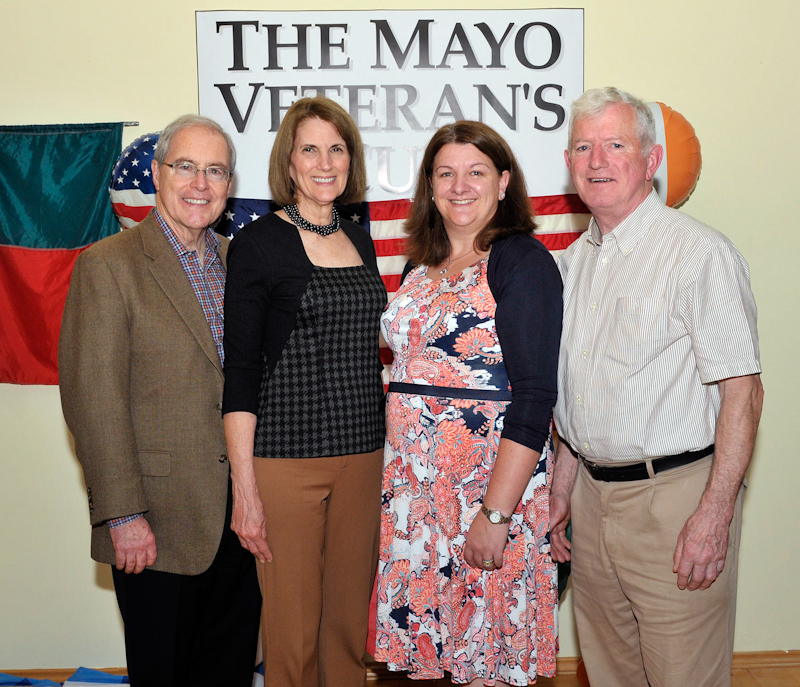 US Ambassador Kevin O’Malley with his wife Dena, Noreen McNamee, Chairperson and Paul Gavin, President. Photo © Ken Wright Photography 2015. The Ambassador Mr. O'Malley thanked the committee and members of Castlebar Tennis Club for the warm welcome he received and commended them for organizing the tournament. He also said that it was an honour to play on the Mayo team given his connections with the county. 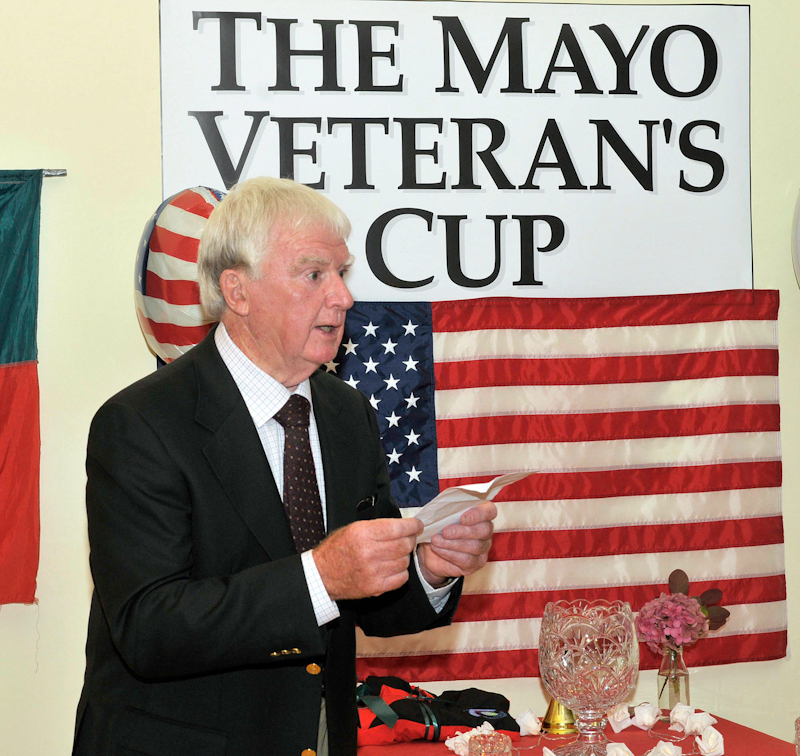 Jim Higgins, Captain of the winning Galway team, graciously accepted the Mayo Veterans Cup presented to him by Mr. O'Malley and echoed the ambassador's sentiments by thanking the club for organizing an excellent event and for the warm hospitality extended to the visiting teams. 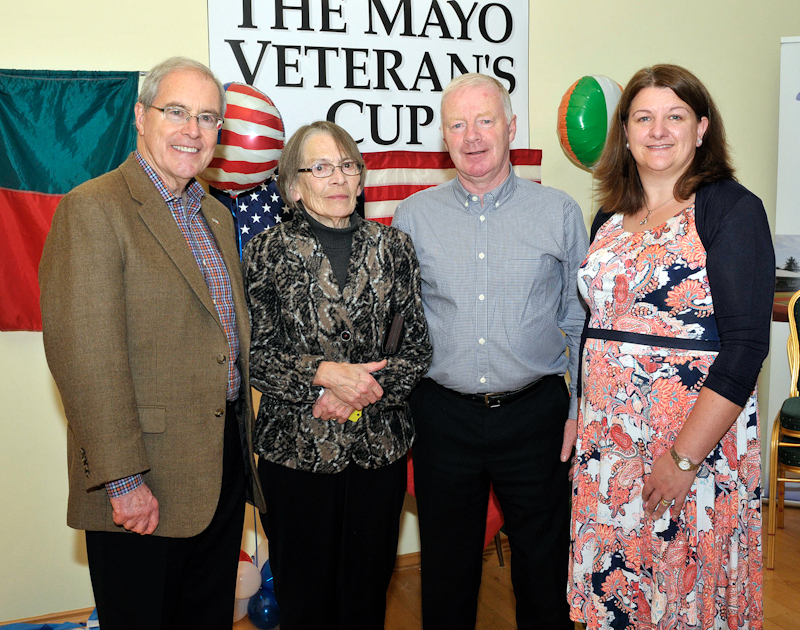 Pictured in Castlebar Tennis Club at the Mayo Veterans Cup with special guest Kevin O’Malley US Ambassador to Ireland who played for the Mayo team against visiting teams from Galway and Dublin. Paul Gavin, President of Castlebar Tennis Club and Captain of the Mayo Team, presented the Ambassador with lifetime membership of Castlebar Tennis Club. Photo © Ken Wright Photography 2015. When asked about the event, Noreen McNamee, Chairperson of Castlebar Tennis Club, was clearly delighted with the competition. "This weekend was a great example of how tennis is a sport that can be played by people of all ages. We have children as young as five joining our club and learning to play tennis for fun. We also cater to the more competitive players and host the Connaught Squad. 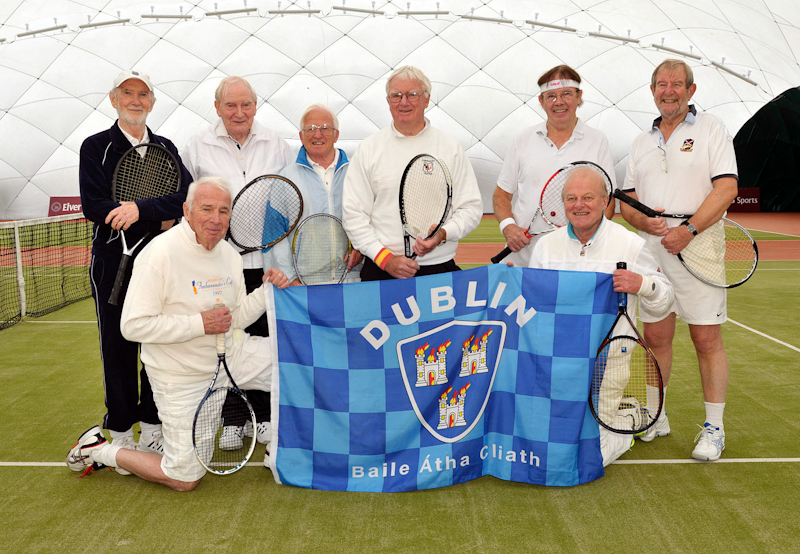 In addition to that, we welcome members of all ages and it was great to see people in their 60s, 70s and 80s enjoying tennis and keenly competing for points and matches this weekend. 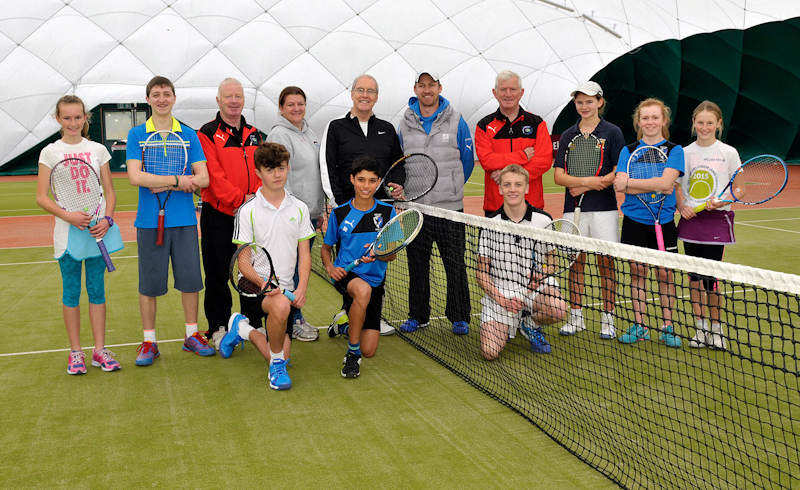 I would welcome anyone, of any age, to join us on our open day on Saturday the 31st of October where all members of the public are welcome to join us in the club to learn about all of the tennis events that are held here throughout the year." Pictured in Castlebar Tennis Club at the Mayo Veterans Cup with special guest Kevin O’Malley US Ambassador to Ireland who played for the Mayo team against visiting teams from Galway and Dublin. Colm McDonnell Captain of the Dublin Team, thanking everyone in Castlebar Tennis Club for all their hard work in making the event so enjoyable and successful . Photo © Ken Wright Photography 2015. Pictured in Castlebar Tennis Club at the Mayo Veterans Cup with special guest Kevin O’Malley US Ambassador to Ireland who played for the Mayo team against visiting teams from Galway and Dublin. 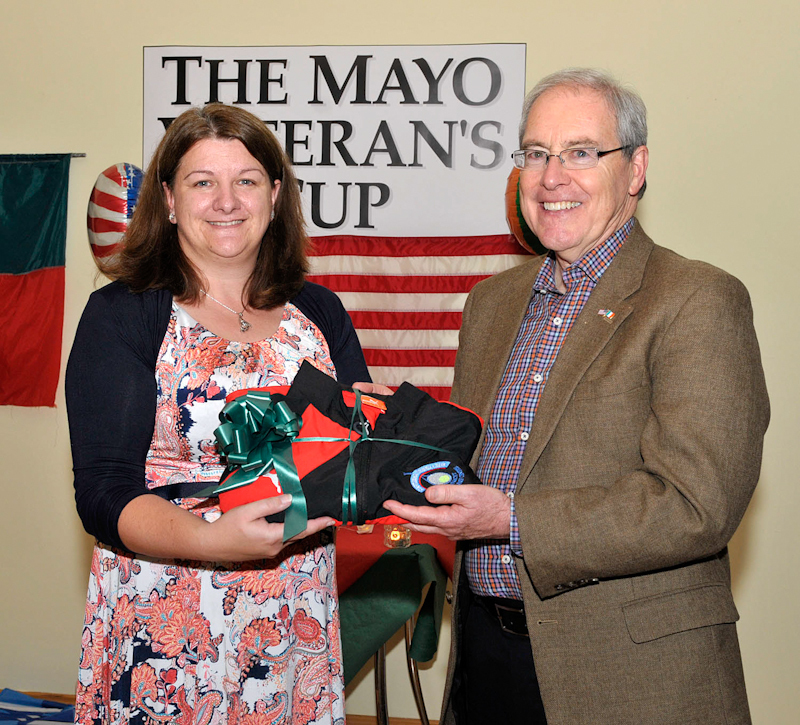 Noreen McNamee, Chairperson of Castlebar Tennis Club, presented the Ambassador with the Castlebar Tennis Club jacket. Photo © Ken Wright Photography 2015. Pictured in Castlebar Tennis Club at the Mayo Veterans Cup with special guest Kevin O’Malley US Ambassador to Ireland who played for the Mayo team against visiting teams from Galway and Dublin. Members of the organising committee L-r; Donie Coleman, Noreen McNamee, Chairperson, US Ambassador Kevin O’Malley, Paul Gavin, President and Garrett Barry, coach. Photo © Ken Wright Photography 2015. Pictured in Castlebar Tennis Club at the Mayo Veterans Cup with special guest Kevin O’Malley US Ambassador to Ireland who played for the Mayo team against visiting teams from Galway and Dublin. 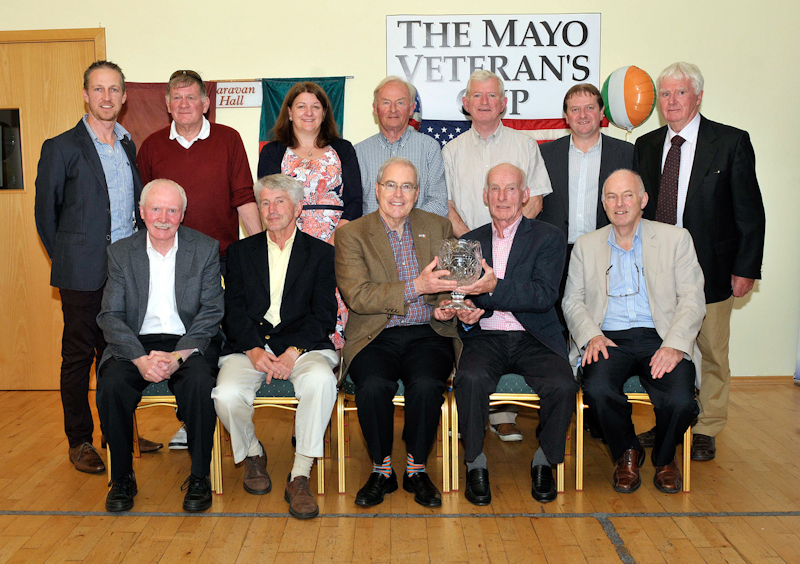 Members of the Mayo Team, Kneeling Donie Coleman and Tom Murphy. Back l-r; James Ryan, US Ambassador Kevin O’Malley, Dave McHale, Brian Fallon and Hugh Hanley. Photo © Ken Wright Photography 2015. Pictured in Castlebar Tennis Club at the Mayo Veterans Cup with special guest Kevin O’Malley US Ambassador to Ireland who played for the Mayo team against visiting teams from Galway and Dublin. Members of the Galway team, kneeling Brendan McNally and Stephen Long. Back l-r; David Boyd-Barrett, Paddy King, Aiden Daly, Joe Higgins, captain, Donal McGoldrick and Colm Grogan. Photo © Ken Wright Photography 2015. Pictured in Castlebar Tennis Club at the Mayo Veterans Cup with special guest Kevin O’Malley US Ambassador to Ireland who played for the Mayo team against visiting teams from Galway and Dublin. Members of the Dublin Team, kneeling John Kelly and Tony O’Donoghue. Back l-r; Cathal O’Neill, Roddy Feely, Joe Carroll, Colm McDonnell, (team captain), Michael Larkin and Michael Lenahan. Photo © Ken Wright Photography 2015. Pictured in Castlebar Tennis Club at the Mayo Veterans Cup with special guest Kevin O’Malley US Ambassador to Ireland who played for the Mayo team against visiting teams from Galway and Dublin. Members of the junior Connacht team were introduced to the Ambassador, Front l-r; Fionn Minogue, Darren Fernandez and Niall Butler, back l-r; Roisin Moore, Caolin Murphy, Donie Coleman, Noreen McNamee, Chairperson, Kevin O’Malley, Dervla Rowe, Lauren Heeps, Emma Grennan. Photo © Ken Wright Photography 2015. 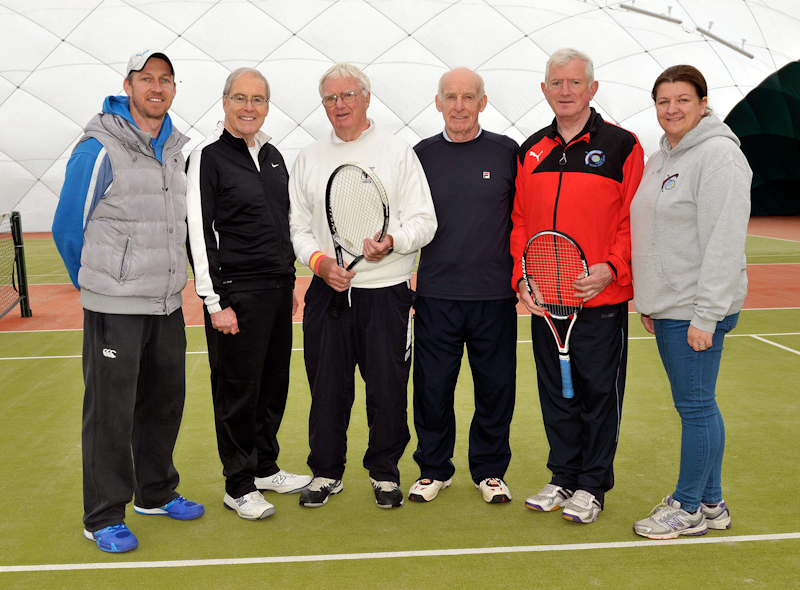 Pictured in Castlebar Tennis Club at the Mayo Veterans Cup with special guest Kevin O’Malley US Ambassador to Ireland who played for the Mayo team against visiting teams from Galway and Dublin. L-r; Garrett Barry, coach, US Ambassador Kevin O’Malley, Colm McDonnell, Dublin team captain, Joe Higgins, Galway team captain, Paul Gavin, Mayo team captain and Noreen McNamee, Chairperson. Photo © Ken Wright Photography 2015.